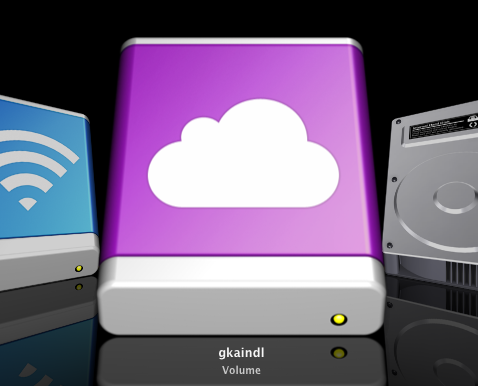 Even though the transition from .Mac to MobileMe has been a disaster so far, I have to say that I really like the new iDisk icon a lot. On one hand, the color scheme is great (well, obviously I dig the white/purple combination, it's a scheme used heavily in my own website design as well). On the other hand, I'm intrigued by the fact that Apple is pushing the rather geeky term "The cloud" to the masses: "The cloud" originally comes from the way an internet is depicted in network diagrams (well, as a cloud), and what could be geekier than that! Still, it's somehow a nice analogy.